MK Motti Yogev on Palestinian Authority officials: One moment they speak English and the next they incite to murder. MK Motti Yogev (Jewish Home) responded on Sunday to the riots by Arabs that have taken place throughout the country since U.S. President Donald Trump announced his recognition of Jerusalem as the capital of Israel. "With the Palestinians everything is used as a catalyst for violence, but Israel will always be stronger than them. 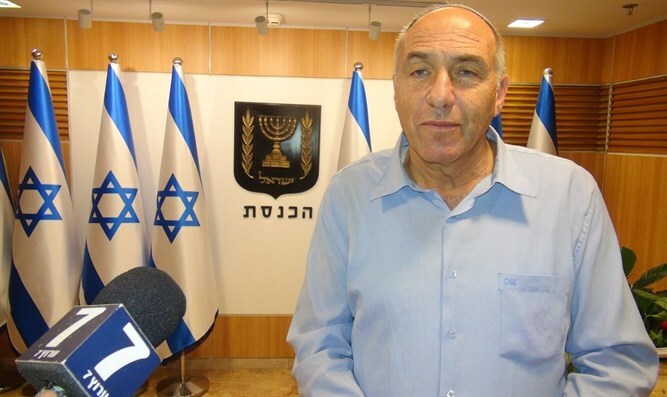 They should understand that it is better to invest in life than in death," Yogev told Arutz Sheva. The Palestinians "always find reasons for violence. One time it is Jews visiting the Temple Mount or the opening of the Western Wall tunnels and now it’s Trump's announcement,” he continued. "But what can we do? They never found Palestinian coins in Jerusalem, only Jewish coins. History speaks for itself. The time has come for them to accept the truth about Jerusalem belonging to the Jewish people. The clearer the truth, the more they will understand that there is no point to their struggle,” added Yogev, who expressed hope that the Israeli Arab leadership will be able to restrain the rioters. "I have friends in Wadi Ara and I hope that I am not naïve when I think that it is possible to live alongside them. They know very well that their lives here are significantly better than they would be in any neighboring country. Electricity 24 hours a day, seven days a week, is something that is not available in any other Arab country. Same goes for sewage and water, so they have a lot to lose,” he said. Yogev further stated that Fatah's threats for a “day of rage” this coming Friday only prove who Israel is dealing with. "I am surprised by the fact that sometimes they are called the heads of the Fatah and the heads of the Palestinian Authority, when they are in fact the leaders of the PLO. They are terrorists in a suit and tie. One moment they speak English and the next moment they incite to murder. We have to know who we are dealing with and I am convinced that the IDF and the Shin Bet are keeping their finger on the pulse,” he said.